Dog Shows: Competing Against Other Dogs Or The Standard? Dog Shows: Beat The Dogs, The Handlers Or The Standard? Dog shows are a tough world where competitors have no mercy for each other even though they keep friendly faces throughout. But who or what are these dog show fanciers competing against? 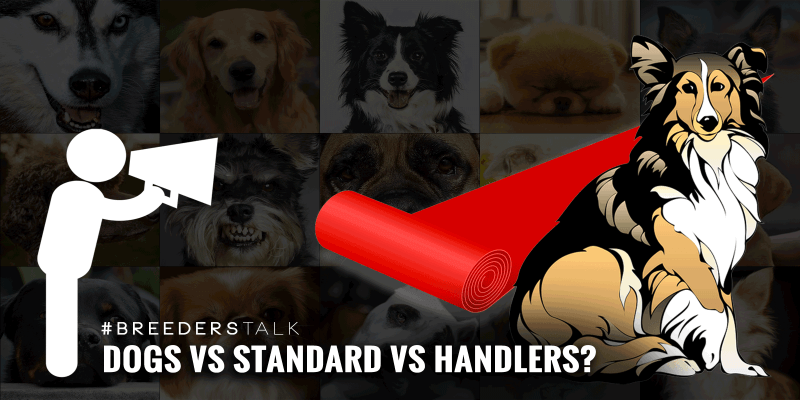 Do dog show participants compete against other dogs, other handlers or against their breed standard? 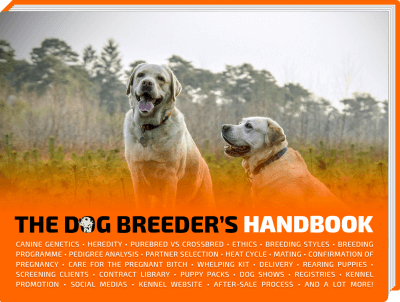 Well, we’ve asked the questions to several breeders and received different, yet interesting, answers. 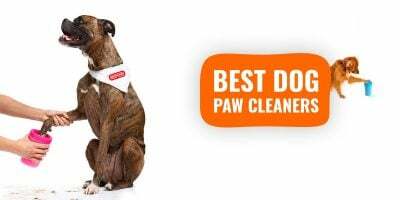 The judge has to be a minimum satisfied to actually consider a dog as a serious contender. But beyond the judge, we want to know what’s going on in dog breeders and dog handlers’ minds when preparing for a dog show. I would personally focus on the victory, so I would calibrate my game depending on the league I am in. If I show locally, I will try to be better than the second. And so on. But enough about me, let’s dive into what our breeders have to answer to this question! The expected answer: dogs compete against each other to see who comes closest to the standard, as interpreted by the judge in the ring. The more vaguely worded, or less exact, a standard is, the more room for interpretation there is. Subjective descriptors like “moderate” or “kind” are peppered throughout nearly every standard. The somewhat more realistic answer: politics are rife in showing. As in every domain that has human interest involved, really. Some fanciers say that judges will judge the “wrong end of the lead”: professional handlers with a more established relationship with the judge may see more success than the humble, unknown owner-handler with as good a dog (their opinion). 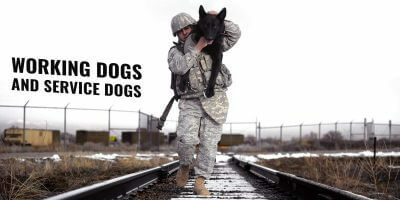 At the end of the day, the goal should be finding the dog that exemplifies the standard. And this is why it’s silly to antagonise the individual owner, or dog, when it comes to stuff like the Crufts debacle. If the standard is calling for over-exaggerated rears, then it needs to be sorted out. Problem is, progress in the dog fancy moves at a glacial pace. If there are too many judges putting up a dog who ISN’T up to standard, then they need to be set right. My breed’s standard is not something to compete against; rather, it is something to which I aspire in my breeding program. So when I attend dog shows and enter the show ring, I don’t go in to “beat” or “compete against” the breed standard. I compete against the other exhibitors in the ring to have the exhibit that is regarded by the judge as being the closest on the day to meeting the breed standard among all of the exhibits in the ring together. 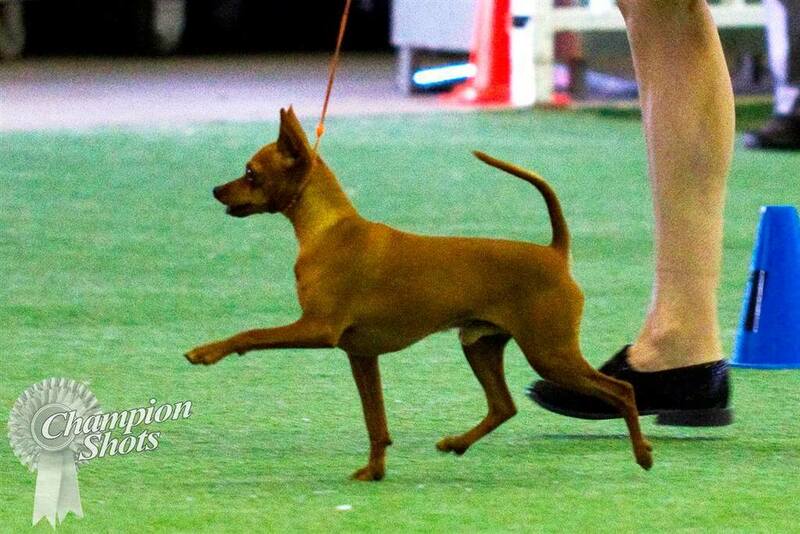 One of Kimberley’s Miniature Pinschers during a dog show. Truly responsible breeders with integrity and genuine love for their breed(s) all understand the importance of the true purpose of conformation dog showing. Exhibiting your dogs offers you an objective assessment by studied, qualified, licensed dog judges to have your dogs examined and assessed for quality, type and soundness against the breed standard. 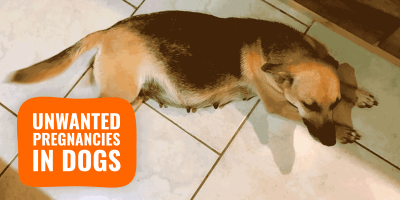 Your stock is judged and compared to the other dogs present which helps you gauge its progress and success toward improving the breed with your breeding program… Improving the breed is ultimately the true objective of responsible pedigree purebred dog breeding. 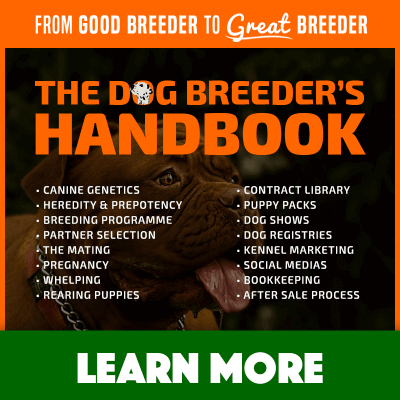 The available gene pool is, of course, the great equalizer that levels the playing field in our quest to breed dogs that meet the breed standard, as any of us can only achieve as much success in that quest as the available gene pool allows. This reality clearly points to the relevance of the other dogs present in the show ring being the standard of comparison by which our success in meeting the breed standard is measured and awarded. All this being said, there is no question that elements such as presentation and ringcraft certainly naturally also come into play in the show ring as influencing factors in the judges’ decisions; but certainly not in a way that suggests grooming skills or a particular handler’s ringcraft are awarded for being pleasing or impressive to a judge, but rather simply because excellent presentation and a handler with superior ringcraft skill do better to show a dog to its best advantage than do poor presentation and a handler with weaker ringcraft skill. Breeding the best dogs we can with the available resources, then preparing and showing those dogs to their very best advantage to the judge whilst the other exhibitors in the ring with us are doing the very same is all part of competing in the show ring to be awarded as the closest on the day to meeting the breed standard. My best answer will be none of the above. I compete with myself! With every litter I produce, I have a breeding goal in mind. I am always striving to make each and every generation better than the one before it. When I select my top pick(s) from a litter, I am hoping they will be the absolute best that both the sire and dam had to give. By competing, I am getting the opportunity to exhibit my work and progeny and prove how successful that breeding was. 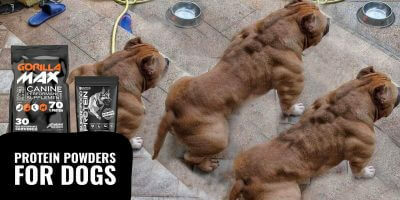 We also put a great deal of time and energy into training that puppy, youth, adult to get it show ready. Working on drive and focus, learning correct stance and how to correct the stance with simple lead adjustments, and learning how to run the ring. 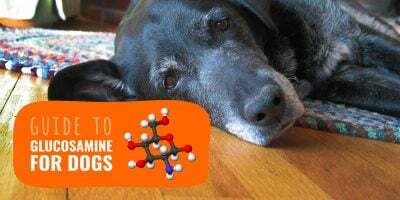 The correct distance to pace, building stamina, how to keep that working drive and stay alert and focused, and not get distracted by other dogs and handlers… So it can be very rewarding to see the fruition of that hard work and sacrifice! I do want to dispense my 5 cents about judges and the standard. 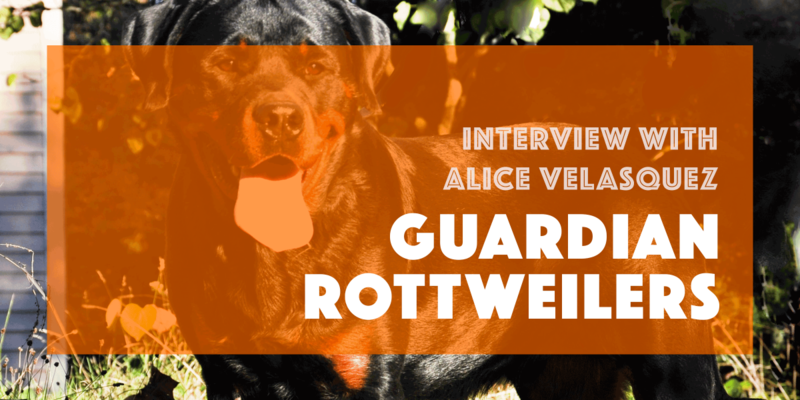 There has been an unfortunate trend of late in my Rottweiler breed, and everyone wants to blame the breeders. The heads are going too extreme-borderline brachiocephalic with muzzles that are too short to be effective. They are compromising the breathing and stamina of a working breed. Also, bodies that are too short and cobby also render this great athlete incapable of the work and ability it was intended for. The judges that both breed and promote this “new” standard hold much more culpability than the breeders. They are almost insisting that we conform to their version of the Rottweiler if we intend to place. I believe the focus of a dog show should be positioned on the standard and each breeder doing their absolute best to uphold that standard. It should not be “a fashion show” with the latest trend idolized. It should be about the standard that has created this exceptional, sound body and mind, courageous, capable, biddable, determined breed that we all love and cherish. It should also not be a gossip ring for trash talking other dogs and breeders or trying to tear each other down. We are all working for the same team, or at least we should be. We should be more eager to work cohesively to improve our stock and work together towards breeding out the issues that plague our breed. I am sure this could carry across the board to most breeds. 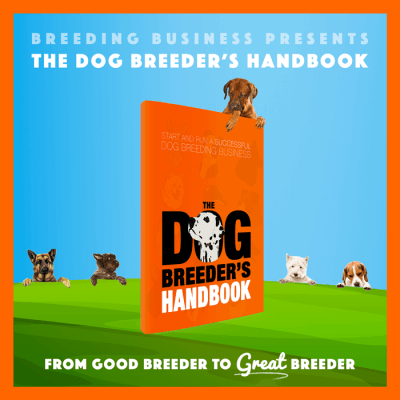 A competition is put in place to not only prove our dogs and bloodlines and of course ourselves as breeders, but to learn and grow from the shared knowledge of other breeders, handlers, trainers, owners and judges. It should also be a platform to reinforce the set standard and for us to exchange experience — to see what worked and what did not so that we can collectively improve ourselves and our breed. Many breeders are competing against the standard and this is admirable. This is what we should all do, no? The breed standard represents our biblical guideline book when it comes to pedigree breeding and showing. But how come, dog show contenders who have dogs matching the pedigree to the line are not being prized and rewarded for their amazing work? There seem to be a lot of room left for judges to interpret the various standard’s specifications. This is making it hard for a breeder to compete against so many criteria clearly written but so differently interpreted. You then drag the cursor from the standard to the judge and the other actors in the show ring. Dog shows and politics are walking hand in hand. We should work for the same team and the same goal(s) but we all know this is not the case. It’s a competition and everybody who joined is here to win. For the ego, for the fame, for the prize, everybody wants to be the number one and beat the other dogs.